Stanford graduate school of business was established in 1925, it is one of the topmost ranking colleges in the world. The education you get at Stanford GSB will provide you the best knowledge and skills to enhance your overall development which will help you in expansion and growth of career development. You’ll be able to pursue learning opportunities in terms of leadership, communication, and entrepreneurship. Your consciousness of global matter will be developed through the curriculum, worldwide education trips, internships or other programs which are offered. 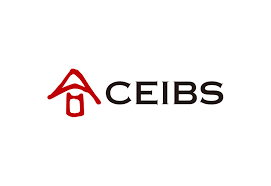 They offer a full-time MBA program, executive MBA and online MBA program. Insead is 2nd highest in rank in top MBA colleges in the world. Insead is doing great in academia and management practices, all because of the quality of faculty and alumni. They provide the best career opportunities. you’ll get a challenging environment in which they will completely change your thinking pattern, will make you a better leader. Insead will inlead, they will transform you from within. The programs that they are providing like MBA, executive education in leadership, finance, marketing and sales, entrepreneurship, digital transformation & innovation. Insead also provides the scholarship program. The University of Pennsylvania is ranked number 3 in both 2017 and 2018. It was established in 1881 and was the first business school in the world. This University not only helps in the educational program but also nurture the innovative thinkers, they totally change their perceptions. They groom their students in all those fields which they have chosen. 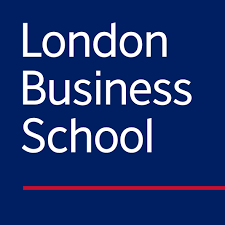 London business school is one of the best business schools in the world. They modify and transform their students for a career across the globe. They empower their business thinking and help them to grow and accept a challenging environment. They prepare women for leadership roles, they are supporting, inspiring the global community and also advance their career and achieving success in their ambition. Harvard is one of the world’s best universities and also established the first MBA program in 1908. It is situated in Boston, Massachusetts. The school provides several MBA programs: full-time MBA, online MBA, doctoral and executive education programs. They get a very good recruiting platform on campus and get counseling on developing their personalized skills. They educate leaders to bring a change in the world. The University of Chicago is situated in Chicago, Illinois. They have given their students, faculty, and staff a campus life and experience university life to live its fullest. They help students to grow personally and professionally. Faculty and students of the University of Chicago have spread around the world. Columbia business school is based in New York. It leaves a significant impact on other schools in the US. Newyork is renowned for the financial capital of the world. Columbia school of business gives you the opportunity to make your career and get the best in every core of the business. You’ll obtain versatility to succeed in a competitive environment around the globe. It is one of the top ranking colleges in the world which is located in Shanghai, China. It was established between the Chinese government and the European Commission under an agreement in November 1994, Shanghai. It has a wide range of offering full-time MBA, Executive MBA. In the forty years of reformation and introduced policy, China is experiencing constant change. The role of a woman has also transformed. In the early days, as some of the innovators in the business world, Chinese Women Entrepreneurs has faced ups & downs but with the dedication, loyalty, and courage, they didn’t even give a second thought to give up. They have shown their ability even in hardships. The campus building was designed to enhance the shape and specific features of the land available. MIT Sloan School of Management offers bachelor’s masters and doctoral programs. Its MBA Program is most discriminating in the world. MIT Sloan emphasizes modification in practice and research. Your learning journey includes design thinking, submit project ideas, identify client needs, create a protocol, present your final ideas and get the feedback. MIT Sloan is all about creation, design, and invention. They explore challenges and opportunities. MIT Sloan is a community of inquisitive people who believe in inventing the future, who want to leave an impact wherever they go. MIT Sloan Academics Programs are MBA, Master of Finance, Master of Business Analytics, system design, and management, Ph.D., Executive education. It is the second-oldest business school in the United States. It offers full-time, part-time MBA, Ph.D. degrees, executive education, Masters in finance and undergraduate programs. Berkeley Haas is a founder of innovative ideas and knowledge in all field of business. They inspire a new way of thinking for a new economy. Their mission is to help people in achieving their goals to the fullest. At Haas, they are different and innovative in terms of leadership. They bring together different individuals from different background, mindsets, around the world and help them to accept challenges and enhance more in their creative thinking.